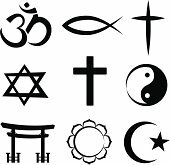 Indonesia officially recognizes six religions: Islam, Protestantism, Catholicism, Hinduism, Buddhism, and Confucianism. The government is now realizing that this rule actually contradicts freedom of religion, rather than encouraging it. They realize many Indonesians practice traditional religions, and are not being recognized. The Religious Affairs Ministry is now working to officially recognize the country’s indigenous religions through a bill on the protection of religious followers, which is still being drafted by the ministry. The bill would aim to ensure the followers of native faiths have the same rights as those embracing mainstream religions. The ministry is expecting to submit the bill to the House of Representatives by the end of the year. Praise God for this move toward true religious freedom! Pray for the Religious Affairs Ministry as they work on this bill, and pray that it would pass through the House and the Senate without any major issues.